It seems that most, if not all, companies that produce mass market goods use custom boards rather than putting together modules that are already available in the general market. For instance, battery chargers use custom circuits rather than some module from aliexpress. Bluetooth speakers also tend to use custom circuits instead of a HC06. Wouldn't it be more economical to put together existing modules than to build custom boards? Wouldn't that require lower development and testing costs? Another consideration in addition to davidrojas' and the other answers, is that if I as a manufacturer decide to use another commercial product (note: this isn't outsourcing to another company to make my product, but actually purchasing a commercial 'module' as you specify), then I am forever on having to live with it. There are two serious problems there: One, what if the 'Module' has a defect, especially a safety one. Then my company is responsible to bear the brunt of the publicity, and there is no guarantee that I can have the module maker fix the problem, leaving me back at square one, which is designing my own. The second major problem is that the company selling the module to me has no obligation to keep it the same. They can change footprint, connections, features, or even discontinue it at any time. Major companies that do outsource parts generally still design the parts in-house, and then send them to one or more manufacturers to actually make them. This is true in just about every commercial product from electronics to lawnmowers. It certainly depends on the type of module. For example, I don't think any product developer would use a DC-DC converter module, they're way too big, too expensive, and a EE can design their own using a tiny (3x3 mm) IC and a few extra components in an afternoon. However when you get into wireless modules, that is a different story. 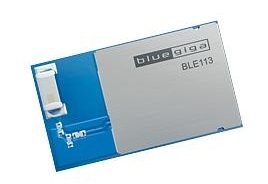 For example, I have used Bluetooth modules such as the BLE113 from Bluegiga. It contains both the BLE modem and a chip antenna (the grayish SMT component at the upper left corner). This entire module is FCC certified as a unit. If I was to use the BLE modem by itself, using my own antenna, I would have to spend ten thousand dollars or more doing FCC testing to get it certified. So even if the module costs $5 more than the modem itself, I'd have to sell 2000 of them before I'd break even. And that doesn't take into consideration the cost of designing my own antenna. So it all depends on volume. If you are going to be making a Bluetooth dongle, where both space and cost are at a premium, and you may sell tens of thousands or even hundreds of thousands of them, then you are going to want to make as much in house as you can. Designers already use modules: they're called integrated circuits. If you look at the aliexpress modules, they nearly always comprise an IC surrounded by a few discrete components on a small PCB with headers. If you're building a cost-optimised product, you can very easily save size, weight, and cost by just putting the IC and its support components on your own board. Note that ICs are designed to be soldered to boards, while most of the hobbyist modules are designed to be connected together with header wires. That's a much more expensive form of assembly - anything involving wires and connectors always is. As tcrosley says, if you can save regulatory approval by using a radio module, that may be worthwhile in itself. The other consideration is things that are a great hassle for board layout; this is why "computer-on-module" units and PC104 boards exist. Two obvious things come to mind: price and power consumption. Modules are usually bloated and generic, and they are very expensive. Also, if you start stacking up modules you will get a huge monster (think of an arduino, plus a bluetooth module/shield, battery charger module, etc). It will consume more, will be expensive and maybe won't fit in your target size for the product. On the smallest scale, you have ICs, which can range from simple NAND gates to entire SoCs. These aren't plug-and-play for the end user, but are quite handy for a PCB designer. On a larger level, there are a few modular standards that let you stack one or more PCBs for increased functionality. These are things like Arduino 'shields', BeagleBone 'capes', or simply PC/104 modules. These are modular for build purposes, but not really intended for field replacement. The next step I can think of is industrial equipment. You can buy a plethora of equipment that'll just slide onto a DIN rail. PLCs will often have extra electrical connections along this axis - so if you need some more analog inputs, just slide another card on (typically has to be directly adjacent to the rest of your PLC). What's cool about this equipment is that it's not fragile - each has their own enclosure, and is nominally field replaceable. The downside is that even a relatively simple system is physically quite large. Lots of good points in the other answers, but I thought I'd add in a sense of scale. The usual answer is that it depends on the production volume. For more than 1000 units, you will almost always be better off building it yourself. As a practical matter, the trade-off number is lower. Almost everybody who has been in the business of designing hardware for a while knows what a bummer it is for one of your module suppliers to go out of business and/or decide to stop making your part. For some reason, this always happens to your best-selling product. . .
As a practical matter, the only time you would use modules is for some kind of custom, very-small-production-run kind of thing, or if there are major regulatory costs involved. Now, it is good to be aware of the problem of "Engineering Fun Syndrome", or projects where the designer is in "Resume Enhancement Mode". It's just that these things manifest as the decision to use some kind of chip which is still on allocation, or the decision to use an FPGA when a 22V10 could have done the job. On the other hand, most OEMs do use modules for certain parts. Almost no OEM produces their own power supplies, displays or disk drives, two of the biggest examples of third party manufacturing. Even mass producers like Apple either outsource standard parts or have a dedicated company design a part to spec. At most they rebrand it. The smaller or less complicated the product though the more likely a module is not wise in price or shape or interconnection. Not the answer you're looking for? Browse other questions tagged pcb production-testing production or ask your own question. How to make a nice PCB enclosure for a product?